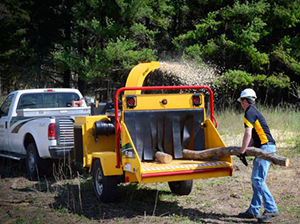 Vermeer continues its dedication to delivering highly innovative, fuel-efficient equipment with the BC1000XL brush chipper. Complete with an 89-horsepower (66.4 kW) GM 3.0L gas engine, the chipper is powered by a dependable electronic fuel injection (EFI) system. The BC1000XL also features a direct electronic pressure regulator that allows for greater control of fuel delivery, fuel economy and optimum combustion. 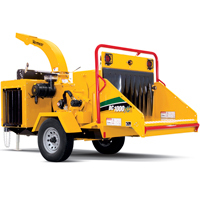 This chipper comes standard with the Vermeer patented EcoIdle™ system and patented SmartFeed technology and has a 12-inch (30.5 cm) cutting capacity. An electronic fuel injection (EFI) engine performs well during cold-weather starts and provides improved fuel economy over comparable carbureted gas engines. Increase operator productivity while reducing strain on vital engine parts with the help of the patented SmartFeed system. This feed-sensing control system monitors engine rpm and automatically stops and reverses the feed roller when feeding larger, hardwood material. Protect your investment with a 3-year/3000-hour extended limited warranty on drum housings, cutter drum, shaft and ring-fetter hubs in addition to the 1-year/1000-hour Vermeer equipment limited warranty.